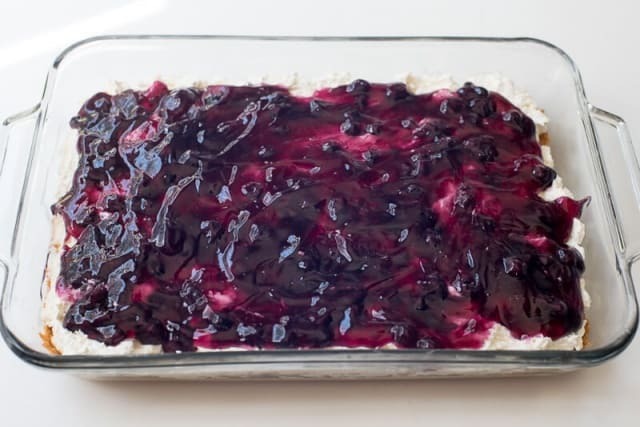 This Easy Blueberry Cheesecake Dessert is a delicious make-ahead choice for your next gathering. 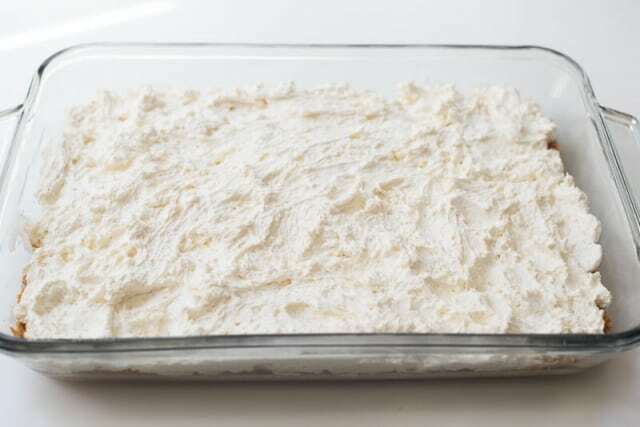 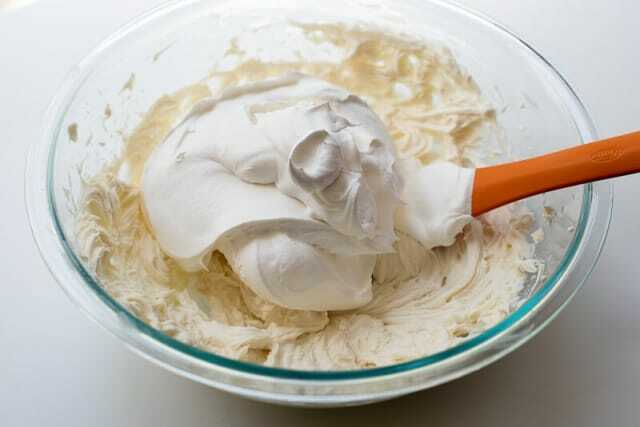 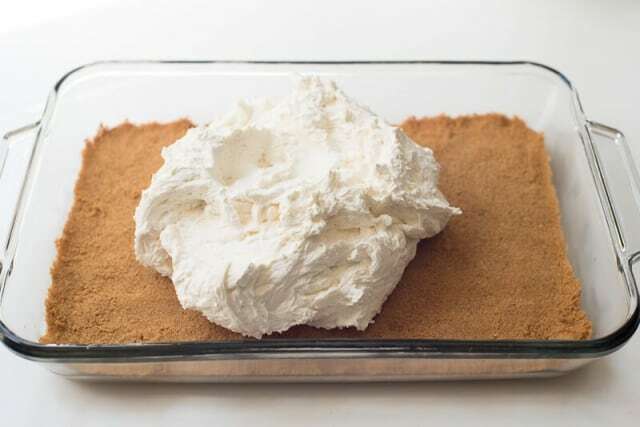 Everyone needs a few semi-homemade recipes at their beck and call and this is one of mine. 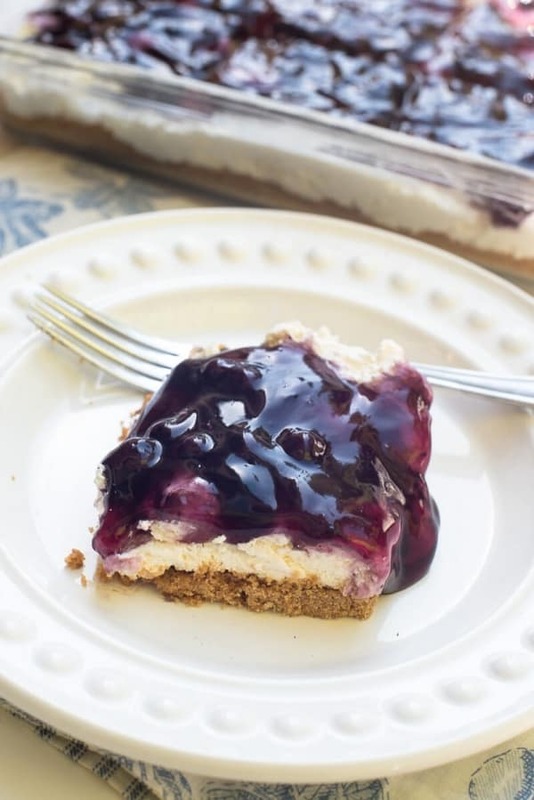 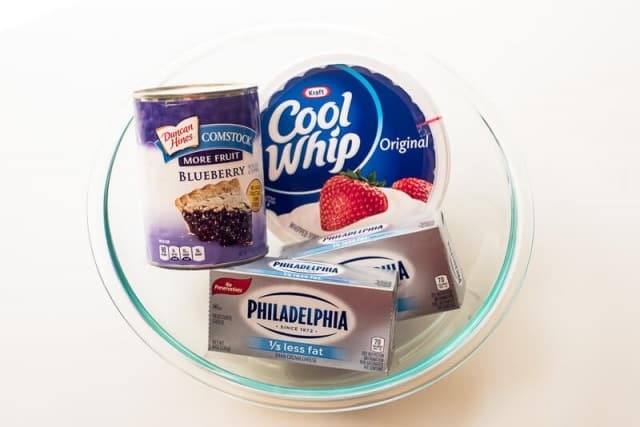 A simple graham cracker crust is baked, topped with a really simple no-bake cheesecake layer, and then the whole shebang is finished off with blueberry pie filling and chilled until you are ready to serve.